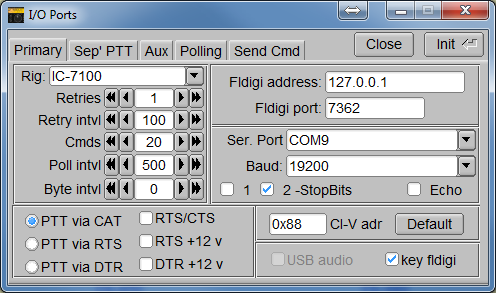 Here's how I successfully configured the IC-7100 for Fldigi in November 2013. I'm using Windows 7 64-bit. Also see IC-7100 Info Pages by Jim W4WWJ. The latest drivers can always be downloaded from here. I really do recommend reading the installation instructions. Run the USB Driver installation package before connecting the USB cable for the first time. Unzip USB Driver ZIP first, or the installation will fail. 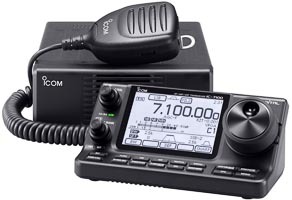 Connect the USB cable, then power on the IC-7100. Make note of driver name "Silicon Labs CP210x USB to UART Bridge"
Make note of your port numbers (COM4 and COM5). 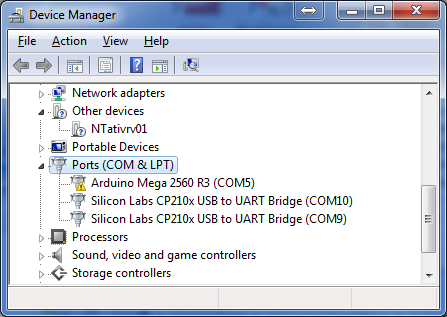 Note that COM ports cannot be shared between programs. Do not try using flrig and rigcat concurrently. Turn off RigCAT and Hamlib -- instead, RPC will communicate internally to Flrig which provides CAT control. 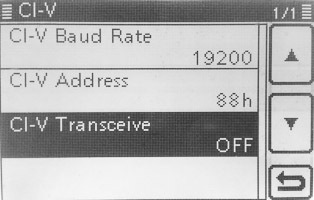 It should connect to both the transceiver and fldigi. Fldigi's waterfall should display what is heard. Flrig's frequency readout should track changes in the 7100's tuning knob. The 7100's frequency display should track changes you make in Flrig's frequency.